For the last several weeks, we’ve referred to the Westwood space as a nursery waiting to be filled, loving the first-born Boyle Heights store just as much as always, while also making room for its temporary sibling. 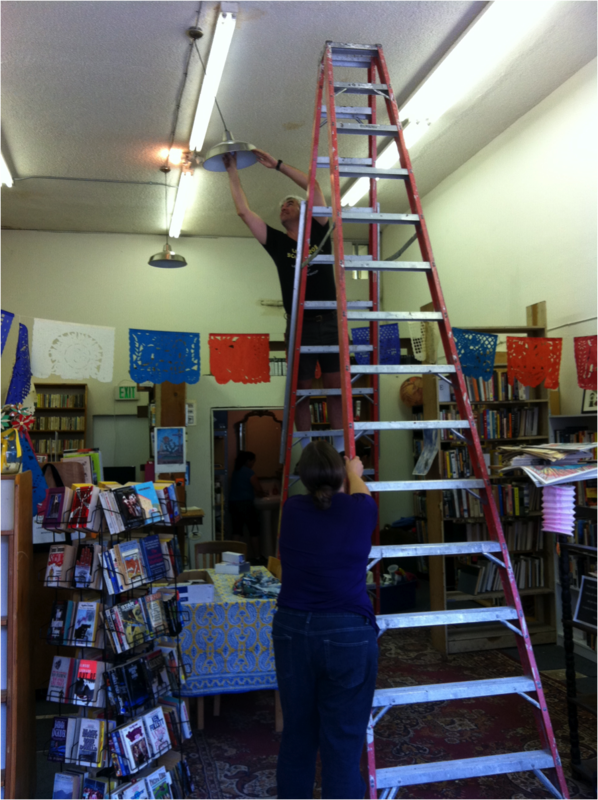 Today Catherine anchored the-fifteen-foot ladder borrowed from around back, while David teetered from its rungs, all in the name of readying the flagship shop for its grand re-opening on Saturday. We did have to wonder: Just how many founders does it take to change a lightbulb? 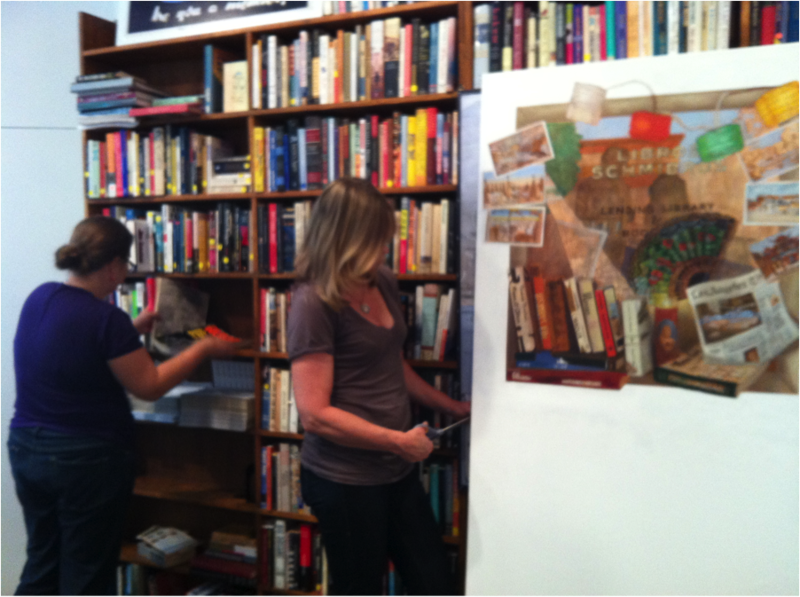 Meanwhile, back in Westwood, Cindy bravely took scissors to her gorgeous canvas to make it fit the available space. 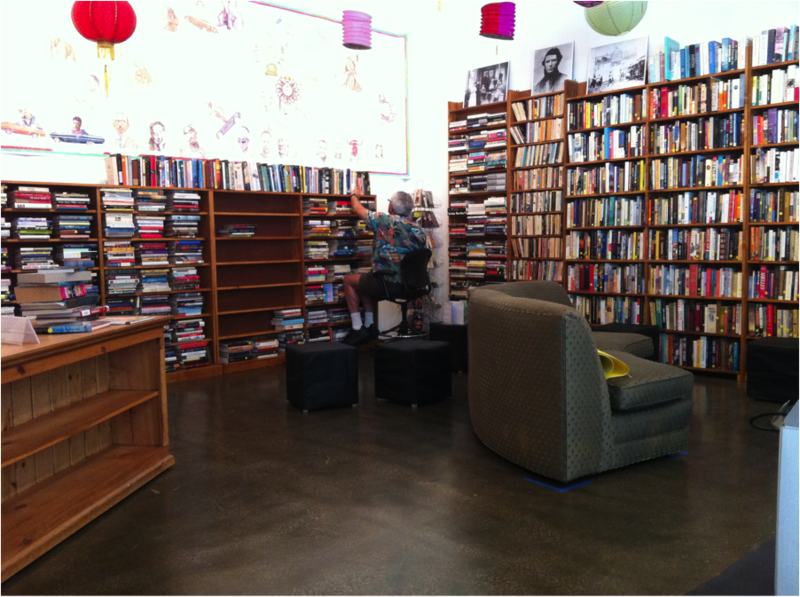 David, having mounted Jacob’s ladder, dreams of shelving books.